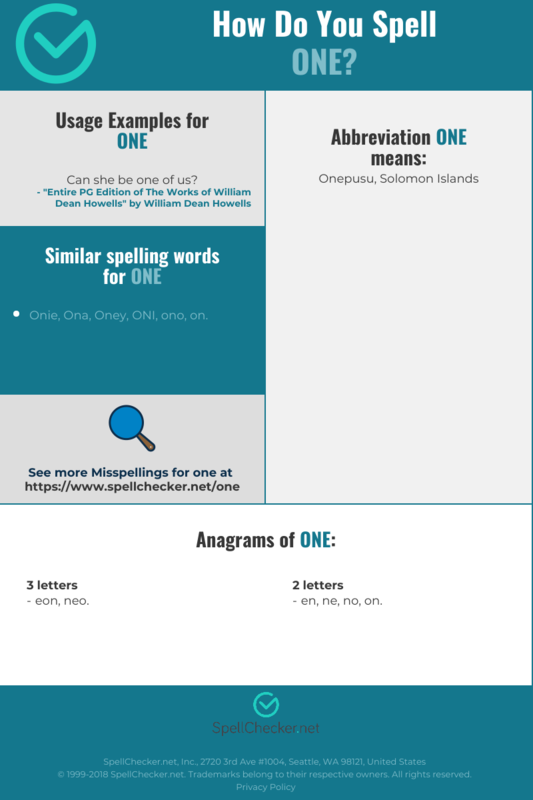 How Do You Spell ONE? 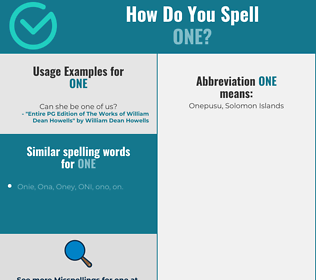 Correct spelling for the English word "one" is [w_ˈɒ_n], [wˈɒn], [wˈɒn]] (IPA phonetic alphabet). What does one stand for?